Raise your hand if you blow dry your hair. Raise it again if you use curling irons or straight irons. If you use heat to style your hair, you'll get maximum protection with ThermaFuse and HeatSmart Complex®. It is the smartest thing to happen to heat-styled hair ever! Fragrance: Blackberry Vanilla Musk – Rich summer blackberries blend with green mandarin and apple. Also infused with irresistible violet leaves, jasmine, rose petals, amber musk, and vanilla. A brightening shampoo that keeps hair color from fading due to environmental exposure as well as the natural progression of time. Each formula infuses a powerful dose of color defense to prolong the beauty and condition of color-treated hair. Color Care Sulfate-Free Shampoo is a rich and nurturing formula that guards against color loss by employing fade-fighting technology to hold color in hair. The Fresh Green Fruity fragrance is a zesty blend of natural fruits and flowers – like Fuji apples, pineapples, white peaches, and kiwi nectars. Blends with jasmine, ylang-ylang, rose, orange blossom, and petal musk. Fragrance: Fresh Green Fruity – A zesty fragrance of natural fruits and flowers – like Fuji apples, pineapples, white peaches, and kiwi nectars. Blends with jasmine, ylang-ylang, rose, orange blossom, and petal musk. A medium-to-firm holding crème-based gel that is never too stiff, and always light enough to design and maintain an endless array of styles. Function: Esculpt is a protein-rich crème gel that produces longlasting, truly gorgeous, natural-feeling results. This pliable formula allows for extraordinary creativity and design. Ideal for clients who want easy styling. Protects hair from harsh environmental UVA & UVB light. Rich, extra moisturizing conditioner for hair that tends to be very dry, especially naturally curly, frizzy, and unruly hair, or damaged hair. HeatSmart Serum Condition is charged with certified organic essential oils and rich hydrating emollients to revive moisture starved hair and restore resilience, elasticity, and shine. Amino acids work from the inside-out, reinforcing the structural protein network of each hair strand. Fragrance: Vanilla Musk with a topnote of blackberry and raspberry. A temporary smoothing/straightening styling product that gives you the option of sleek, smooth hair without the commitment, expense, or harsh chemicals of the more permanent treatments. One Pass is formulated to style-in smoothness using today’s extreme heat flat irons, up to 450° F. Moisture and protein conditioning combat dry, brittle hair. Cuticle Fusion Complex® smoothes and seals the cuticle to lock vital moisture into hair while repelling humidity and environmental influences, and increases thermal protection by 20% or more. 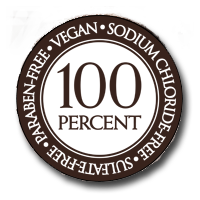 100% formaldehyde-free formula.